Hi to all you lovely brides out there. The one thing most brides really look forward to is trying and choosing their dress! Apart from the actual marriage itself of course. PLEASE keep an open mind when looking for the dress. Brides tend to have an idea in their heads what they like and imagine what they will wear. But from my experience. What brides end up choosing isn’t necessarily what they had in mind. Just try a few different styles and see which one you feel special in. 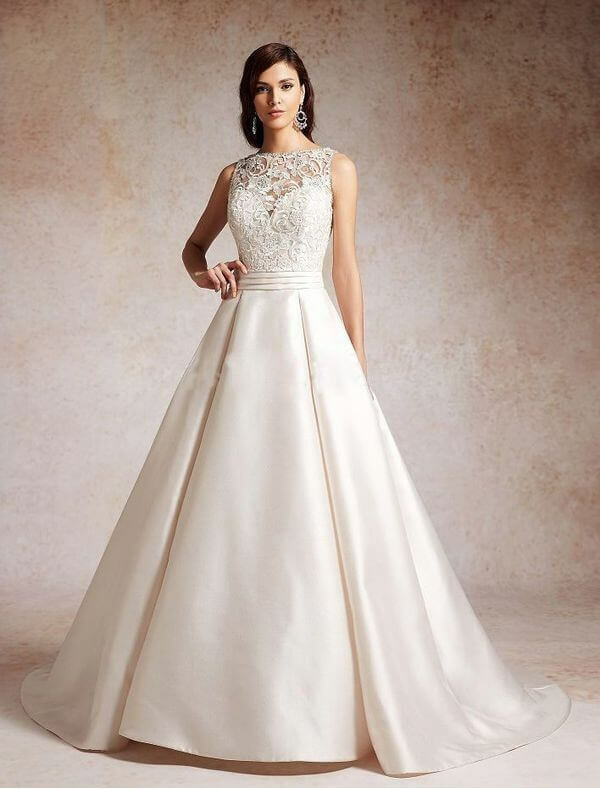 Believe me, you will know when it is the right dress for you. There may even be a few tears. But that doesn’t happen to everyone. Ensure the dress is what YOU want and not want someone has suggested. Start looking early and allow plenty of time to have fittings. Dresses can take over 6 months to order sometimes. One little tip: Move around and sit down in your dress. It may look pretty whilst standing but you need to be comfortable and be able to enjoy your day. Don’t forget nature calls. A tight fitting dress may cause problems. This is a useful guide to help you choose the style of dress to compliment your figure. 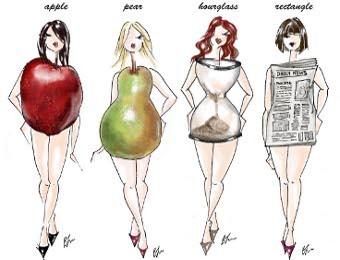 Have a look at the image below and work out which body shape you are. Hourglass – Top and bottom halves are perfectly balanced, with a defined waist. I hope this has helped guide you a little and given you some useful information.